→Dropship Spy Review: Can You Really Earn From This Business? 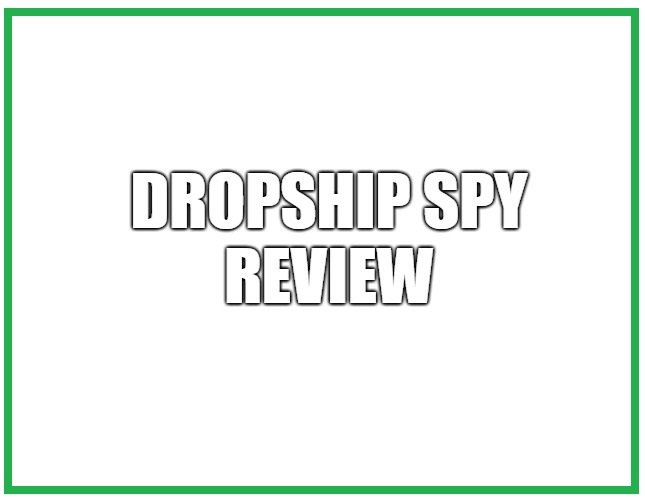 In this Dropship Spy review, we will take a detailed look at this platform and its features. I hope that this review helps you to decide if this platform will allow you to take your drop shipping business to the next level or not. How Does Dropship Spy Work? As I mentioned before, you will get 6 tools that will perform different functions. This platform will provide you not one, but two product finders. The first one is called Winning Products. Winning Products will give you products that are doing well along with the information of the suppliers and adverts for Facebook and videos. Promising Products is the other tool, which will give you products in a particular niche that have been requested by the members. Instagram Shoutouts is a tool that was added in May 2018. This tool will give you information about Instagram influencers like their engagement percentages, price breakdowns and follower counts. It will surely help you in finding the right influencers for your product on Instagram. At the time of writing this review, they have around 163 Instagram influencers in their database. They will give you a research tool for finding Instagram influencers on your own. The tool will provide you the engagement details of anyone on Instagram, and you can negotiate the price from someone that you like. I like the fact that you don’t have to rely on the influencers that they have in their database as you can find them on your own. One big advantage of this platform is that you will get to choose from three suppliers while many tools are limited to just one supplier. You also get to choose from two different ad templates and download a video to use as you wish. It would certainly be convenient to get ad templates and video ads, but you should learn to make your own if you want to convert better. You can download product reviews from Amazon for any product that you are looking to sell. I don’t think that this is a great feature, but it can be helpful if you are not trying to get any organic traffic. If you are trying to get organic traffic, then the duplicate reviews will certainly get you a penalty from Google. It is clear that this platform focuses on paid traffic, which can be an issue for certain people. You get the Facebook Audience Builder Tool that will allow you to get niche specific ideas and help you in targeting a niche that you choose. After choosing a niche, you will be shown pages, public figures, etc. related to that niche for targeting. So, this tool will not only give you fresh ideas but also allow you to explore those ideas in depth. One amazing feature of this platform is that you can request them to do the research for you. You can ask them to research products, Facebook audiences and Instagram influencers. Once they complete the research, then the information will be made a part of their database so that other people can also benefit from it. This can be an issue if you don’t want other to get access to the information for any reason whatsoever. Overall, this is a decent collection of tools that work well. I am least impressed by the ability to download product reviews from Amazon, but the rest of the tools are pretty good. When compared to other tools, it provides you a lot more features in one place. If you want to join in Dropship Spy, there are three different memberships, and they come with different features. The first one is the Standard membership that will unlock Winning Products, Facebook advert copy, etc. at $15 per month. The second one is the Premium membership that will unlock Facebook Audiences, Promising Products, etc. at $25 per month. The last one is the Professional membership that will unlock Instagram Influencers, allow you to make requests, etc. at $35 per month. Clearly, the Professional membership provides all the features. The Premium and Professional memberships also allow a 3-day free trial. Dropship Spy should allow beginners as well as experienced people to earn money. However, there is some risk involved. You will need to spend money at every step of the way, and you will suffer losses if you fail to do well. So, you will either make money or suffer losses. I think that people who are smart and patient will surely make money in the long run. You should do the video advertisements on your own as they aren’t that good. It is your responsibility to pick the right niche and attract your audience well even though the tools will help. The tools will support you, but they will not do the hard work for you. So, if you are thinking about relaxing and letting the tools do the work for you, then it will not work well. You will certainly get help in finding the right direction with tools like Facebook Audiences. It would be wise to first focus on either Facebook or Instagram so that you can focus on getting results from one traffic source before moving to the other one. In short, you can earn a full-time income and build a thriving business through this. However, it will not be easy to do so. Dropship Spy is certainly not a scam. It offers a decent collection of tools, which should help anyone who is serious about the drop shipping business. I don’t have any strong reason for not recommending it, so you may give it a try. If you are looking for just one tool to help you find products, then you should go for other options. Good luck. It seems like you want to give Dropship Spy a try because you are eager to find a new source of income. It also feels like you just want to get out from your 9-5 job and achieve financial freedom. But let me tell you that drop shipping business is not easy. It requires patience and perseverance in order to achieve your goals. If you are still looking for a new source of income that can help you in your needs, then you can also look into my personal favorite. 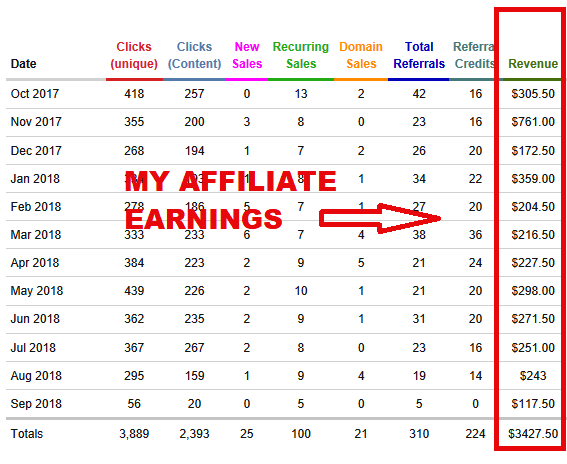 Affiliate marketing is a tested and proven way of earning. Basically, it doesn’t take that much investment and time in order for you to understand the process. All you have to do is to find something that you are passionate. My best passive income source that I suggest would be making your own online business with a support from community. Check Out The Review on the #1 Recommended Work at Home Opportunity. If you have more questions and concerns about the Hive Work, feel free to comment it below and I would be glad to interact with you.